Customer Picture Number 186 Selected. Cool Car decals applied. 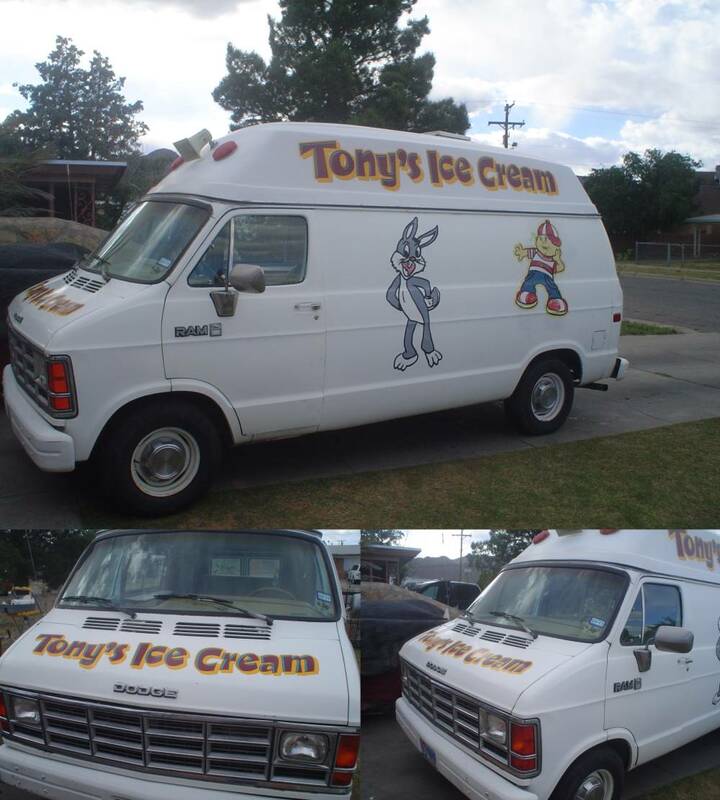 My next door neighbor decided to add some custom lettering to his new ice cream truck. Looks great! Let's do some new characters for the size too.